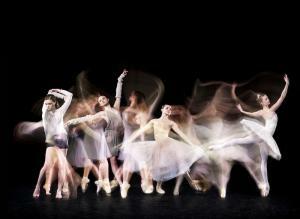 Royal New Zealand Ballet announces 2014 line up: 61 performances in New Zealand and a four centre US tour. "I am excited to be returning to the US as Artistic Director of the RNZB’ says Artistic Director Ethan Stiefel. ‘The ballets we are taking, including our acclaimed production of Giselle and a trio of contemporary works, will show the RNZB and New Zealand at its very best." The RNZB’s New Zealand season opens in April with Coppélia, an enduring classic which combines ballet with comedy and a touch of magic. The production, designed by Kristian Fredrikson (creator of the RNZB’s stunning Swan Lake) for The Australian Ballet, opens in Wellington on 17 April before touring to Palmerston North, Invercargill, Dunedin, Napier, Rotorua, Takapuna and Auckland City. The winter will bring one of the RNZB’s popular mixed programmes of short ballets. Making the most of the company’s versatility in styles from classical to contemporary, Allegro: Five Short Ballets, includes works by ballet great George Balanchine, Johan Kobborg (co-creator with Stiefel, of the RNZB’s Giselle), Larry Keigwin and the world premiere of a new work by New Zealand choreographer Daniel Belton. Allegro: Five Short Ballets will have its opening night in Auckland on 30 July, touring to Hamilton, Napier, Palmerston North, Wellington, Invercargill and Dunedin. The RNZB year ends with The Vodafone Season of A Christmas Carol, a dazzling retelling of Dickens’ classic yuletide tale, perfect for family celebrations and festive treats. The production, new to New Zealand, comes from the UK’s Northern Ballet, a company renowned for its story telling and stylish productions - including previous RNZB favourite Dracula. The original score is by film and television composer Carl Davis, and incorporates Christmas carols. The Vodafone Season of A Christmas Carol will open in Wellington on 30 October, touring to Dunedin, Christchurch (where the company will perform for the first time in the rebuilt Isaac Theatre Royal), Palmerston North, Napier, Auckland City and Takapuna. "Having just celebrated the RNZB's first sixty years in 2013, the 2014 season has the company looking forward to the next sixty. The programming includes a bright and charming classic, a night of energetic and inventive works and a ballet that couldn't be better suited for getting everyone into the holiday spirit. All of the productions have their own distinct personality and come together to form a year of performances that offer audiences an extensive and entertaining experience in dance." The RNZB’s last tour of 2013 kicks off in Wellington on 23 October, taking in 47 centers nationwide from Kaitaia to Stewart Island.